Drug dealing and anti-social behaviour is making residents’ lives a misery in some parts of Milton Keynes. The situation has become so bad that a delegation of residents from Oxley Park and a campaigner from Tattenhoe went to Milton Keynes Council on Wednesday to demand action. Sumeet Gupta, from Oxley Gardens, was part of a delegation, and he presented a petition to the council. He described how problems were centred on one property and had included police cordons, ‘frantic’ police chases, and people trying to break into homes and sheds. The petition was not debated but will be passed to the ruling cabinet for their attention. Later in the evening, campaigner James Lancaster asked a question on the subject of anti-social behaviour in Oxley Park and Tattenhoe. 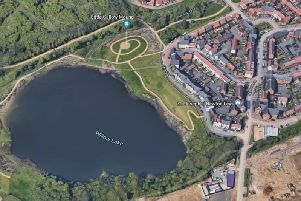 Mr Lancaster asked: “Are residents’ pleas going to fall on deaf ears, and what is the council going to do to reassure the people here and also the people in communities to feel safe? Cllr Hannah O’Neill, the cabinet member responsible for healthier and stronger communities, said there had been successes against a backdrop of falling numbers of police officers. “We have closed one property and had 3,500 young people going through workshops on preventing knife crime,” she said. In addition she said the council had earmarked £250,000 to support the police on anti-social behaviour in Milton Keynes.